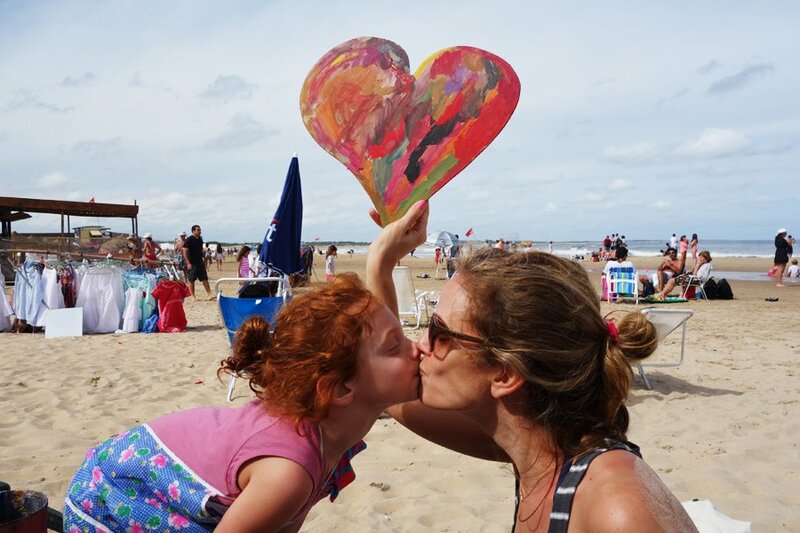 Michelle and Sophia at the art shack for kids on Playa José Ignacio. All photos by Michelle Lehmann. The last time we checked in with the Lehmann crew (mom Michelle, dad Daniel, older brother Jake, and little sister Sophia), they had just come back from Tulum. 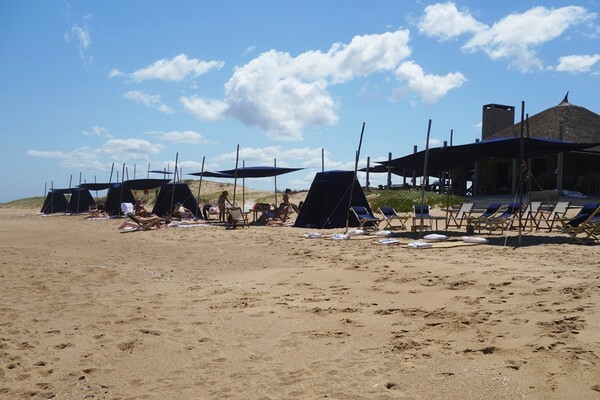 This time, they went to José Ignacio, the boho hotspot in Uruguay that's typically associated with frolicking gypsetters. This is our kind of family travel. 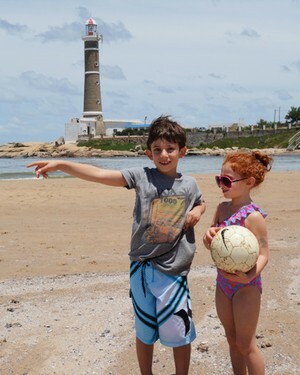 So, what brought you to José Ignacio? I've wanted to go to José Ignacio for a long time. I'm obsessed with travel, but since having kids, haven't been able to be as adventurous. Finally, this year, with a son who's seven and my daughter who's five, I said to my husband Daniel, "That's it, we're going somewhere far away and interesting." With both flights there and back from New York City being overnighters, and with only a small time difference (which meant no jetlag), it seemed ideal for the kids. Plus, it had everything we were looking for: beach, outstanding food, off the beaten path, a cool local culture, bohemian chic vibe, and a good bit of style. Was it your first time? It was, but it definitely won't be our last. What was the best tip you got before you left? 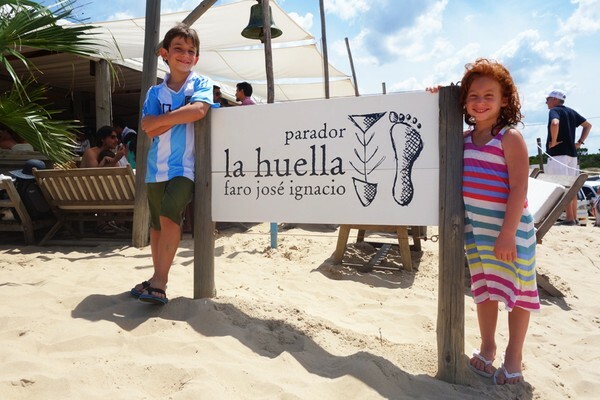 First, to eat at La Huella, the best beach restaurant ever. Second, to go on a day trip to La Caracola, a private club on a tiny island. What's the best tip you'd give a friend who wanted to go? There's not just one thing. I would just encourage people to take the leap and go. It seems far away and remote, but is actually relatively easy to get to and will feel like a real getaway. How did you get there? We flew from New York City into Montevideo with a quick stop in Miami, then rented a car and drove 90 minuts to José Ignacio. 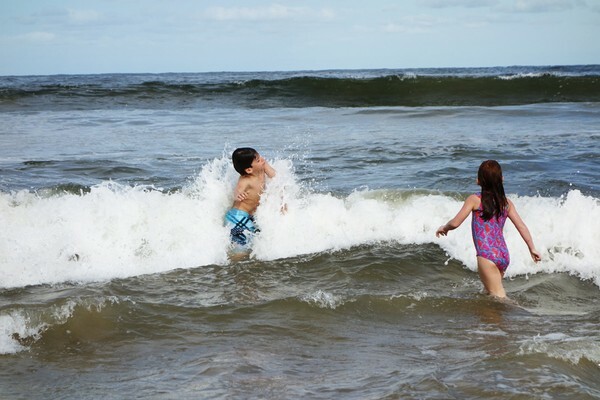 It was really pretty easy — other than the airlines losing our kids' luggage, which was delivered the next day and gave us the excuse to buy them cute new bathing suits from a surf shop in town. On the way back, we wanted to spend a few days in Buenos Aires, so we took a quick 30-minute flight there, then flew home directly to New York City. Where did you stay? La Posada del Faro. LOVED it. So of the place, and it felt like we were staying at a friend's beach house. A friend who has really good taste. What did you do? When we arrived, we immediately sensed a rhythm to the place, it only took us a day to fall into that rhythm. People sleep late, spend the whole day at the beach, eat and drink in between, hang with their family and friends, meet new people, surf, play. We started every day with a great breakfast at our hotel, then headed to the beach. Normally, we like to spend a few hours at the beach and go elsewhere, but for some reason, here in José Ignacio, you just stay, and the day flies by. Michelle's kids ready for a beachside snack. We'd take a walk on the beach to the lighthouse, go for a swim and jump into the large waves, and always have lunch at La Huella. I've heard so much about this restaurant, and it went way beyond my expectations. All these ridiculously beautiful South Americans, eating incredible yet simple food, mostly cooked over fire, drinking caipiroskas, with good music in the background, right on the beach. You just can't help but fall in love with it all. There was also an amazing art hut for kids on the beach. They loved to go there and paint, with their little feet in the sand overlooking the water. Afterwards, we would explore one of the nearby towns and always get ice cream, chill, grab a quick nap at the hotel, and head out to a great place for dinner. 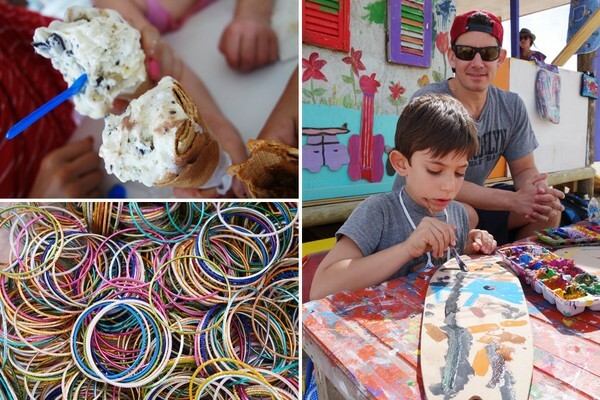 Ice cream (a daily necessity), bracelets for sale, and Jake at work in the art shack. This was especially great: Lunch at La Huella. But this wasn't: There was a heat wave the night we arrived. We went out for dinner, sat outside, and were attacked by mosquitoes. It was relentless. Oh, and when we had to drive 45 minutes to the mall in Punta del Este for an Uruguay soccer shirt. Worst moment by far. Don't let your kid convince you to do that. 1. Glad you packed: Bathing suits and easy, comfy dresses. 2. Wish you'd packed: Less. 3. Didn't need: Pants or workout clothes. 4. Brought back: A very cool suede bracelet and a beautiful scarf from a super chic store right down the road from the hotel, next to Playa Vik. And Uruguay soccer shirts for my kids. 1. Meal or meals: La Huella every day for lunch, and La Olada (Route 10, Km. 1815, La Juanita; +598-993-37908) for dinner. La Olada is a small husband-and-wife-owned restaurant located in the house they live in with a cat, a dog, and a garden. El Garzón serves outstanding food from the great chef Francis Mallmann in a cool and unique town of the same name. 2. Neighborhood to explore: Garzón. We went to Francis Mallmann's famous restaurant at night, and I wish we had gone for lunch so we could explore this unique, tiny town. Also, the small towns nearby like La Barra are so much fun and filled with cute little cafes, shops, and galleries. 3. Site/place/thing you did: La Caracola, a private club opened by La Huella. You take a short boat ride and arrive on a tiny, deserted island. Only approximately 20 people can be there at once. Each party has their own beautiful tent. You lie outside on the beach by your tent and are served the most incredible drinks and snacks all day. 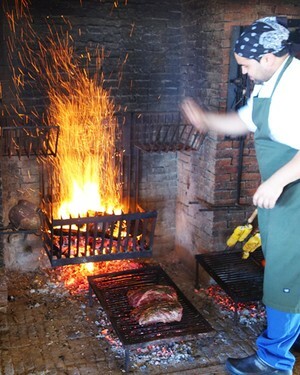 They do an authentic, divine asado (Uruguayan barbecue) with everything cooked over the fire — lamb, fish, meat — along with the most amazing array of salads. It was pure indulgence. A private tent for each party at La Caracola. What's the local specialty? Fish and meat cooked over fire. They do it to perfection. Were you there for the right amount of time? We stayed for six days. It was perfect, but we also felt like we could've spent another couple of days there. It's the kind of place you don't want to leave, and you keep thinking about after you've left. One place you didn't get to visit, but wanted to: Belcampo, a beautiful organic farm where you can have an asado. Unfortunately, we had a hard time getting in touch with them when we were there. Any surprises? How much I loved it there, and how few people spoke English (which I liked). You can't stop thinking about: Spending endless hours on that beach, the cool rhythm of the place, and how relaxed and happy we all were. What was your favorite moment? One morning, I took the kids to the beach. The waves were huge, and they wanted to go in. I didn't particularly feel like going in the water at that time (I just wanted to lie out and take in the sun), but I went in to watch them and ended up having the best time ever. It's a perfect example of how kids get you to see and do things differently. Would you go back? In a second. Right now would be nice. Inset photos, from top: by the lighthouse in José Ignacio; asado in progress. Michelle is the founder of Michelle Lehmann Communications, a boutique pr firm representing food and wine clients. She is also the co-founder, along with her husband, of reCrib, a website for people to buy and sell the best gently used baby and kids gear. She travels for the rush she feels when she sets foot in a new part of the world.